I've learned the hard lesson as to why most artists go on hiatus during the holidays. 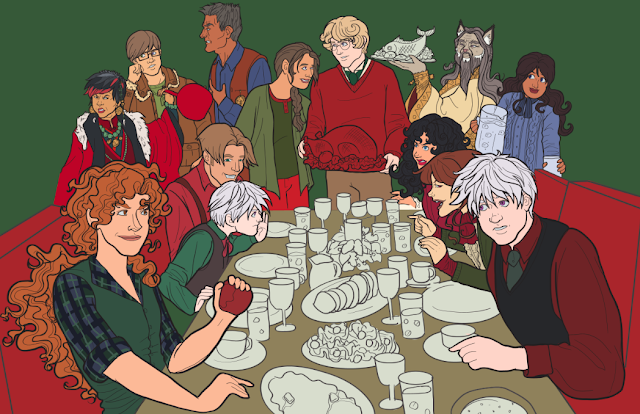 So to tide you to when this is finished, here is the WIP shot of holiday flats. You can see the different characters representing some different holidays they celebrate (somehow Christmas-y themes predominate).